You are at:Home»Concerts»In concert on August 09: Baltimore @ Rams Head Live! In concert on August 09: Baltimore @ Rams Head Live! The disconnect between the artist and her resume is stunning. 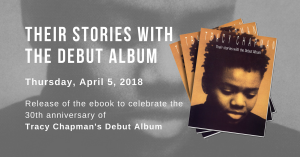 Tracy Chapman sold tens of millions of albums, made one of the most critically acclaimed records of the ’80s and was a precursor to the wave of female singer/songwriters that came in the ’90s. She is one of the more influential artists of the past couple of decades. She is also one of the most humble and unassuming. Chapman’s always been that way – ever since her self-titled debut album came out in 1988. At the time, music was saturated with hair metal bands and pop superstars like Michael Jackson and Madonna. Along came Chapman, with her acoustic guitar and dreams of running away in a fast car. Almost immediately, audiences were drawn to the soft-spoken songstress. Now, more than 20 years later, Chapman continues recording albums and touring in support of them. Her voice still has the haunting, melancholic quality that originally helped make her famous. In November, she released “Our Bright Future,” her eighth studio album. Tonight, she’ll perform at Rams Head Live. The songs on “Our Bright Future,” like most of Chapman’s music, were written in Chapman’s California home. When she composes, she sits down with a tape recorder and a notepad, starts playing whatever comes to mind and sees where it goes from there. She likes to write music early in the morning or late at night, when there aren’t many distractions. Disturbing anyone else? That’s typical of the modest, and at times, almost bashful, Chapman. She keeps mum on her personal life, and is short and to the point about her music. When making “Our Bright Future,” Chapman tapped musicians she’d worked with in years past. It helped keep the project fresh for her, she said. One of those people is Larry Klein, who produced “Our Bright Future.” Klein played on Chapman’s first couple of albums. Besides music, Chapman has long had an interest in science and the environment. When she was in college at Tufts University, she started as a biology major and eventually got a bachelor’s degree in anthropology. For the past several years, she has been interested in studying organic farming and sustainable agriculture. There is one particular six-month apprenticeship she’s interested in, but hasn’t found the time to take it. Chapman toured abroad from June through late July, and returned for a few weeks of shows in the U.S. in early August. There was talk of extending the tour to Australia and South Africa in the coming months, but Chapman thinks she might take some time off instead. Maybe she’ll finally have time to take that class. Tracy Chapman performs tonight at Rams Head Live, 20 Market Place in Power Plant Live. Doors open at 7 p.m. $40. Call 410-244-1131 or go to ramsheadlive.com. I’ve been a fan of Tracy Chapman from the moment I heard Fast Car many years ago. This was my first opportunity to see her live and WOW – is all I need to say. This is the first time I’ve seen a live performance where I thought the artist sounded better in person than on a recording. An amazing talent as a performer. A voice that cuts through and she doesn’t look like she’s aged a day. Thouroughly enjoyed the show. This is a must see. She did a very cool rendition of “Lean On Me” that we can only hope might show up on an album somewhere down the road. Tracy is a don’t miss concert! In a word, exquisite! Very amazing and talented musician, singer, songwriter! The music worl’s future is a lot brighter as long as Tracy is in it. Yo tracy rocked!!!! Truly Truly Awsome!!!! @Evan: Thank you for the setlist!